The famous Scottish blend has undergone a small face-lift across its range, which includes the popular White Label plus a 12 and 18 years old and the Signature. The bottle shapes have remained the same but the label designs have been given a more contemporary look. 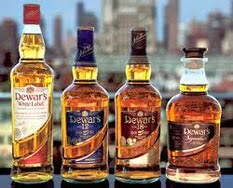 Every label will now include 'brand heritage features' including a 1846 age statement - the date that Dewar's was founded - plus founder John Dewar's signature and the Royal Warrant symbol, which has been awarded to Dewar's by every reigning monarch since Queen Victoria. Dewar's senior brand manager Demetrius Giouzelis says “Dewar’s believes in making full, well-rounded whiskies that are enjoyable to drink. It is this well-rounded taste which was the inspiration for our new packaging design". Brown Forman, the owners of the Early Times bourbon brand, have announced that they are to relaunch the famous whiskey back in to the US market for the first time since 1983. It has previously only been available in various export markets and these will be phased out over time. The bourbon's packaging (pictured, left) will pay homage to the packaging of post-Prohibition 1930s Early Times and will retail for $15-20. The launch will be backed up by information and adverts in several US trade magazines. The Early Times brand manager Joe Murray says, “the results of the taste test were what really told us we had a winner. 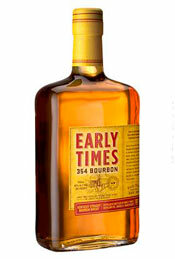 Early Times offers a quality product, at an accessible price point, capitalizing on the growing number of consumers entering the bourbon category”. Finally, a couple of weeks ago we reported that Ardbeg were about to launch an iPhone app. This has now happened and it includes interactive features such as a distillery profile and facts, tasting notes for Ardbeg's core range of single malts, news updates and access to the online Ardbeg shop. The app can be downloaded from iTunes or the App Store on an iPhone. The name of Glenmorangie is one of the most famous in the world of whisky. The distillery is located in the Highland town of Tain and is approximately 40 miles (65km) north of Inverness. The distillery was founded in 1843 by William Matheson and is now one of Scotland’s largest whisky distilleries with an increased annual production capacity of six million litres, following the recent addition of two new stills. The stills at Glenmorangie are the tallest in Scotland at 5 metres (16.5 feet) high and make the still house resembles a cathedral. They are all exact replicas of the original stills that were purchased from a gin distillery in London in 1843. The current owners of Glenmorangie are the drinks giant LVMH (Louis Vuitton Moet Hennessey), who took control in 2004. Their single malts whiskies are multi award winning and are consistently in the top three for world sales. Glenmorangie Original is also the best selling single malt in Scotland. We have more information and history about Glenmorangie on its distillery profile page within our website, whiskyforeveryone.com. 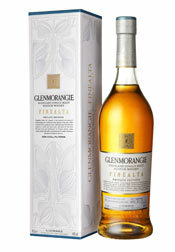 The Finealta (pronounced fin-alta) is the newest release in the current Glenmorangie single malt range. It was first released in Autumn 2010 to be sold in the travel retail/Duty Free market but has just received a wider general release this January. Finealta is the second release in Glenmorangie's Private Editions range (the first being the Whisky For Everyone favourite that is the Sonnalta) and is a Glenmorangie with a difference - it is made using peated malted barley. The word 'finealta' means 'elegant' in Gaelic and this whisky has been inspired by an old recipe that was found in the distillery archives, dating back to 1903. At that time, peaty Highland whiskies were more common than now and the practice died out with the introduction of coal and steam as fuel sources for drying malted barley. The Finealta is bottled at an alcoholic strength of 46% ABV and has been matured in a combination of American oak and ex-Oloroso sherry casks. A bottle should cost £60-65 from whisky retailers. The colour of Finealta is a rich gold and the nose offers a splendid mix of aromas - think of vanilla, honey, dried tropical fruits (especially mango and pineapple), toasted/burnt almonds, malted barley grains and something biscuit-like that reminds us of shortbread. These aromas are complimented by some wood spice (imagine cinnamon and nutmeg) and a lovely, delicate peat smoke that has a subtle earthiness to it. On the palate there is an initial pleasant tangy quality that is reminiscent of orange/lime zest and white grapes, before some lovely rich, sweet barley notes kick in. This makes the whisky feel slightly thick in your mouth and it clings to the palate. Many of the characteristics from the nose are evident here also - plenty of honey and vanilla, the dried mango and pineapple, cinnamon and distant musty, earthy peat smoke. In addition, there are notes of toffee, spiced orange and charred/toasted oak that come through. Absolutely delicious! The finish is long with a lingering gentle bitterness. There is honey sweetness to begin with, plus a hint of dark chocolate, before the wood spices, toasted oak and a light smokiness (think of burning embers) give a drier edge. This Finealta is very good. The whisky is clearly well crafted and is superbly balanced, with expressive sweetness and drier, lightly smoky notes working very well together. 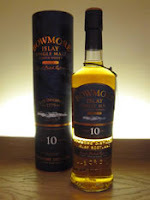 We are fans of most things Glenmorangie but this offers something different to their portfolio by being lightly peaty. Some may question the idea or the reasons for producing it, but it is a lovely whisky that compliments the rest of their single malt range and must be tried. It would be a good choice to introduce a beginner to the idea of the peat smoke aromas and flavours in whisky, as these elements are sympathetically reproduced in this dram. Talisker is an iconic Scottish whisky distillery on the isle of Skye. The island lies off the north west Highland coast and forms part of the Hebrides. The distillery is the only one on the island and is located close to the village of Carbost, in the shadow of the imposing Cuillin hills. Despite its remote location, the distillery is one of the most visited in Scotland. Talisker was founded in 1830 by two local brothers, Hugh and Kenneth MacAskill, and has a current annual production capacity of 1.9 million litres. The distillery is currently owned by drinks giant Diageo and its sales are increasing rapidly, thanks mostly to the ever popular Talisker 10 years old. This 12 years old was released in November 2007 to celebrate the 10th anniversary of the Friends of the Classic Malts - the Classic Malts are a range of whiskies from within Diageo's portfolio of 28 Scottish distilleries (you can join the Friends by going to Diageo's single malt website at www.malts.com). It was a limited release (if you can call 21,500 bottles 'limited'!) and has an alcoholic strength of 45.8% ABV. 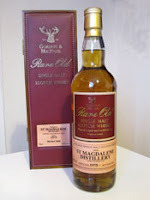 The original price was around the £45 mark - it appears that a few bottles are still floating about three years later and we found some for sale online at approximately £70. The release compliments a strong core range that includes a 10 and 18 year olds, the Distiller's Edition matured in ex-Amoroso sherry casks and the 57° North at 57% ABV. These are supplemented by annual releases at 25 and 30 years of age, plus other occasional limited bottlings. The colour is golden amber and the nose is vibrant and very pleasant. There are lovely toffee and caramel aromas to begin with and these are quickly joined by some rich, sweet peat smoke, some malty cereals (think of oatcakes) and understated fruitiness - this combines subtle aromas of stewed apple and dried fruit, especially sultana. Underneath are notes of honey plus damp earth and leaves/foliage. On the palate, this whisky feels warm, sweet and syrupy with plenty of the malty cereals kicking things off. The cereal notes are quickly softened by delicious sweeter flavours of honey, caramel, toffee, stewed fruits (that apple again, plus some pear) and dried fruits (especially juicy sultanas). All of these sweeter notes are balanced by a lovely, gentle peat smoke that is reminiscent of a leafy bonfire and cigar tobacco smoke, some wood spices (imagine cinnamon and nutmeg) and a hint of salty brine. The finish is long and has a bittersweet quality - it begins sweetly before becoming drier with plenty of warming spicy notes, especially cinnamon and white pepper. The finish is spicier than the nose or palate suggest. This Talisker 12 years old is a very good and well crafted whisky. It offers something different from the popular 10 years old, as the additional time spent maturing in an ex-sherry cask has given a good level of sweetness and fruitiness that seems to absorb some of the signature Talisker pepper/chilli-like spiciness. It is a shame that there are only a few overpriced bottles left and we hope that Diageo are planning a new release of something similar soon. We would like to thank Colin Dunn of Diageo for allowing us the chance to try this lovely whisky. Auchentoshan (pronounced ock-en-tosh-an) is one of the last remaining Lowland whisky distilleries and is unique as it is the only distillery in Scotland to continually practice triple distillation of their spirit. Other Scottish distilleries occasionally do this (for example, Springbank release Hazelburn which is triple distilled but they only produce it for a small part of the year). Triple distillation produces a smoother, lighter spirit that many people find easier to drink and the process is more commonly associated with Irish whiskey. In fact, only five whisky/whiskey distilleries in the world practice triple distillation as a matter of course - Auchentoshan in Scotland, Bushmills, Cooley and Midleton in Ireland and Woodford Reserve in America. So, why are Auchentoshan the only place to consistently triple distill in Scotland? The theory is that during the Irish potato famine in the early 1800s, immigrants came over to the Glasgow area, where the distillery was founded in 1823 and is still located, to escape the poverty and brought the process with them, maybe introducing the idea to the new distillery's owners. Auchentoshan's current owners are Morrison Bowmore, a subsidiary of the Japanese company Suntory, and have carried on this tradition. The annual production capacity of Auchentoshan is 1.75 million litres and the name translates as 'corner of the field' from Gaelic. Also, the visitor centre at the distillery has been voted one of the best in Scotland and is one of the most visited, helped by its close proximity to Glasgow. This whisky is a new limited edition of Auchentoshan which has been released, along with a 1998 Fino sherry cask bottling which we recently reviewed, to compliment to core range. This core range consists of 12, 18 and 21 year old whiskies plus the Three Wood, which has undergone maturation in three different casks (hence the name!). This 1977 whisky has been bottled at 32 years of age and at an alcoholic strength of 49% ABV. It has been matured in ex-Oloroso sherry casks and released as a very small and exclusive batch containing just 240 bottles. To aid the feeling of exclusivity, the whisky has been packaged in a suede lined box that is adorned with a brushed pewter label. It is available now from specialist whisky retailers for £370 a bottle. The colour is a pale amber and the nose is rich, fragrant and one to spend plenty of time over. It has a wonderful intensity, with plenty of complex scents and aromas giving away its increased age. There is initial wood spice (think of cedar wood and cinnamon) that is joined by further savoury notes including old furniture, waxy furniture polish, gristy malted barley and the inside of a cigar box. The aroma of barley increases with time and some subtle, almost understated fruitiness also develops (imagine stewed pears and apples especially). The nose is much less fruity than expected from an ex-sherry cask whisky at 30+ years of age and is very promising. On the palate, it does not disappoint and feels syrupy in the mouth. The whisky is again quite woody and spicy to begin with (notes of oak, nutmeg and allspice) before revealing much more fruit notes than the nose did. This is an intense, complex combination of stewed/baked apples and pears plus dried fruits, especially raisins, sultanas and prunes. Other notes detected add to the classy feel of this whisky - some spiced orange, sweet honeycomb, coffee, dark brown sugar and milk chocolate. The finish is long with sweetness (the honeycomb and dried fruits), before becoming drier and almost bittersweet with the cereals and wood spices particularly prominent. Wow - what a fine whisky! 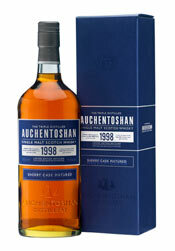 This Auchentoshan 1977 Sherry Cask Matured could well be an early contender for our Top 10 Whiskies of 2011, as it is of outstanding quality. Yes, it is rare and it is expensive but this whisky is a league above any other Auchentoshan's that we have tried to date, or indeed a number of other older ex-sherry matured whiskies from other distilleries. It is well crafted and more importantly, well selected - it has been released because it has been deemed ready rather than waiting for a set age, such as 30 or 35 years. The sympathetic use of the casks means that the sherry influence does not overpower the spirit, which can happen in older whiskies, but compliments it beautifully. We feel privileged to try such a rare whisky and thank DK Cheung from Auchentoshan's marketing department for allowing us to sample it. The Belgian Owl is a single malt whisky that is the first to be produced in Belgium. The Belgian Owl distillery is located in the town of Grâce Hollogne, near the city of Liege, and was founded by Etienne Bouillon, who also owns a fruit liqueur distillery and business named Lambicool. The distillery was originally named Pure and the company was set up by Bouillon and two partners in 1997, although the first spirit did not flow until October 2004. The name was later changed to The Belgian Owl Distillery - the name being chosen as the owl symbolises wisdom. For further information on the distillery and their whisky, visit the website at www.belgianwhisky.com. The barley for the whisky making is grown in the fields around Liege and the malting, mashing and fermentation processes take part in an old converted farm on the city's outskirts. The fermented wash is then transferred to the distillery for its double distillation, before the new spirit is put in to first fill ex-bourbon casks and then matured. The single malt is matured for three years and then bottled in small batches at an alcoholic strength of 46% ABV. The current annual production capacity is approximately 50,000 litres and the bottling programme has five batches of single malt released each year. They also release new make spirit and part matured spirit within their range. The Belgian Owl is currently only sold in Belgium, France, Germany, Holland and Sweden, with the single malt selling for around €45-50 for a 50cl bottle. For a further insight in to this fascinating distillery, please watch the short video clip below - you will need to know a bit of French to follow the commentary, but they do have an English version on their website homepage. This is a lovely, tangy, refreshing and mouthwatering dram that would be perfect as an aperitif or on a hot day. The whisky shows plenty of very good characteristics, considering its young age, and stands up very well to its contemporaries from other new distilleries. It will certainly be interesting to see how the Belgian Owl whiskies taste in any future older releases and with further maturation. We thank our friend James Grant, who bought us back a small sample of The Belgian Owl single malt from a recent trip to Belgium. The award winning Isle of Arran Distillers have released their first ever peaty, smoky whisky on to the market. It is called Machrie Moor and is named after the moorland on the west of the island where the peat for the whisky was dug up. The whisky will be released annually and this first release contains just 9,000 bottles. It is being sold in Arran’s key worldwide markets – France, Germany, Japan, Russia, the UK and the USA. The release is also in new packaging with the bottle made from dark green glass with gold lettering. 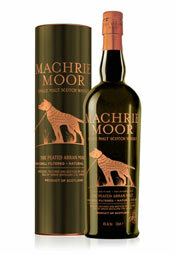 Machrie Moor is bottled at 46% ABV and will retail at around £40 from specialist whisky retailers and Arran’s website. Isle of Arran Distillery Managing Director Euan Mitchell says “we’re very proud of our first peated whisky and thought it merited a new look to separate it from the regular un-peated Arran malt. This peated expression of the Arran single salt perfectly captures the rugged beauty and lore of the landscape”. The President of Maker’s Mark distillery in Loretto, Kentucky is stepping down this April. Bill Samuels Jnr. has been the head of the famous American bourbon distillery for 35 years and has announced that he will retire shortly. He has overseen the growth of the brand from cult bourbon into a best seller. Bill Samuels Jnr. is the son of the founder of the modern Maker’s Mark, Bill Samuels Snr, and the seventh generation to continue the family’s tradition of bourbon making which was first started in Kentucky by Robert Samuels in 1784. His role will be taken over by his son, Rob Samuels. You can hear an interview with Bill Samuels Jnr. about the announcement, his time at Maker’s Mark and his thoughts for the future by downloading last week’s WhiskyCast podcast (episode no.298 16/1/11). The Irish distillery of Midleton have released two new limited edition whiskies under the Midleton name. The first is exclusive to the new Irish Whiskey Collection in Dublin Airport Terminal 2 – this is a 19 year old pot still whiskey matured in ex-bourbon casks and bottled at a cask strength of 53.7% ABV. There are only 200 bottles and each will cost €260. The second is exclusive to The Celtic Whiskey Shop in Dawson Street, Dublin. It is 14 years of age, has been matured in ex-bourbon casks and is bottled at 46% ABV. There are just 270 bottles released and each will cost €225. The brand’s owners Irish Distillers Pernod Ricard CEO Alex Ricard said, “we are giving consumers more opportunities to experience the wonderful whiskey complexities of Midleton with these new single cask, single pot still expressions”. Luxury tour company Rabbie’s Trail Burners have announced two new whisky based tours for their 2011 portfolio. Both are eight days long and take in some of the most spectacular landscape and distilleries that the whisky world has to offer. The first is the Whisky Coast Explorer Tour, which will take in visits to the isles of Mull, Skye and Islay and Scotland’s west coast. It includes visits to Bruichladdich, Bowmore, Kilchoman, Laphroaig and Oban distilleries. The second is the Islay, Edinburgh & Speyside Tour which will take in many of the distilleries on the first tour, before moving on to Dalwhinnie, Benromach and Glenlivet plus the Speyside Cooperage. To book or get further information, go to www.rabbies.com. The whisky that was recently found preserved under the Antarctic ice has been flown back to Scotland by private jet. The bottles of Whyte & Mackay whisky, which accompanied polar explorer Eric Shackleton on his failed expedition to the South Pole in 1907, have been temporarily returned by The Antarctic Heritage Trust to Whyte & Mackay for analysis. Three bottles have been removed and will undergo the analysis by Whyte & Mackay’s legendary master blender Richard Paterson, before being returned to Antarctica to be placed back where they were discovered. For further information, go to www.whyteandmackay.co.uk or watch the short video below. St. George's is the first whisky distillery to be built and produce whisky in England for almost 200 years. The distillery is located close to the town of Roudham in Norfolk and about 2 hours north east of London. The distillery is operated by The English Whisky Company, which was founded in 2005 by Andrew and James Nelstrop. The construction of the new facilities began shortly afterwards and the first spirit came off the stills in November 2006. The St. George's spirit is made from barley which is locally grown in Norfolk and they are currently producing and maturing whisky in peated and unpeated styles. This Chapter 7 whisky is made using unpeated malted barley and is released at three years of age. It has been finished for the final year in an ex-rum cask, after spending the first two years in ex-bourbon casks, and all future releases using this cask combination will also carry the Chapter 7 name. This first limited batch of just 660 bottles was released during in late Summer 2010 and has an alcoholic strength of 46% ABV. We thank David Fitt, the Chief Distiller at St. George’s for giving us this sample and for his time spent talking with us. The other 'chapters' in the series are made up of new make spirit or partially aged spirit up to the age of three years (this is not legally allowed to be called 'whisky'), plus a number of three year old single malt whiskies that have been matured in various casks. Confused? We have listed each Chapter below to help, with links to the ones we have reviewed. The plan is to expand the range further as and when more stock reaches a suitable length of maturation. A bottle of Chapter 7 should cost £50-55, if you can still find one! The colour of this Chapter 7 is pale, almost lemon yellow. The nose is fresh, vibrant and youthful with an initial hit of tangy, sweet aromas - think of fresh green pears and apples, lemon zest and sugar cane. These are joined by notes of distinct cereal grain, something herbal (think of dried grass or hay) and a sawdust-like oakiness. Some white pepper spiciness and a hint of bitter cocoa powder compliment the other aromas very well. This is a very promising nose. On the palate, this whisky does not disappoint and is again light, fresh and vibrant. The obvious sweetness is prominent and driven by notes of fresh green pears and apples, icing sugar, honey and white chocolate. Other notes add balance - tangy lemon zest, cereal grains, oak, dried grasses and a white pepper spiciness that burns away in the background. The finish is short but is lovely, fresh and tangy. Again there is initial and intense sweetness, which has a mix of sugar cane syrup and sherbet to it. It then becomes dry and grassy right at the very end, which leaves your mouth watering and wanting more! This is one of the best and most sympathetic uses of a rum cask that we have experienced in a whisky to date. The rum influence compliments the other characteristics and quality of the spirit, bringing a wonderful vibrancy and freshness. It makes you wonder - if The English Whisky Company's whiskies are this good now, then what will they be like with further time, maturation and experimentation? Chapter 7 is an excellent dram. Please note > the photograph above is taken from www.englishwhisky.co.uk. 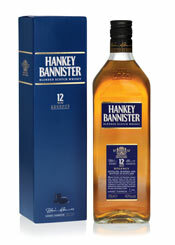 Hankey Bannister is an award winning range of blended whiskies that are marketed and released by Inver House Distillers. The slightly strange name comes from a partnership of two business men (whose surnames were Hankey and Bannister) who set up a wine and spirits business in the West End of London in 1757. They were one of the first companies to take whisky from Scotland and blend it elsewhere. The popularity of their whiskies grew with time, especially amongst royalty and the wealthy. Previous fans have included King George V, King Edward VII and Sir Winston Churchill. The Hankey Bannister brand is exported to over 40 countries, with the main markets being the UK, South America, South Africa and Australia. The core range consists of the Original, which is the most popular and widely available, plus this 12 years old, a 21 and a 40 years old (note that the age stated on a blended whisky is the youngest whisky that is present, with some older whiskies also included). The 40 years old was produced to celebrate the 250th anniversary of Hankey Bannister & Co and it was this that won the most prestigious award available of Best Blended Whisky at The World Whisky Awards 2009. The whiskies are based loosely on Hankey and Bannister's original recipe and contains around 30% of single malt whisky (predominantly from the Balblair distillery but also Balmenach and Knockdhu). The remaining 70% is grain whisky mostly coming from the North British and Port Dundas distilleries. The colour is golden amber and the nose has a number of interesting aromas that combine very well - there are distinct, robust cereal grains that have a slightly toasted/burnt feeling to them, honey, caramel, dark dried fruits (think of raisin and sultana), cinnamon, a delicious whiff of orange oil and a subtle hint of sour dried apple. On the palate, this is rich and mouth coating with a pleasant sweetness to begin with. This sweetness is driven by notes of caramel, toffee, sugary crystalised honey and dried fruit (imagine sultana and candied orange peel especially). Then the robust cereal grains from the nose to add balance, dryness and a hint of bitterness, as does some increasingly spicy wood notes (think of oak, cinnamon and nutmeg). The finish is slightly tangy with the orange notes coming through well, before it turns woodier and spicier. It ends with a pleasant dryness with notes of oak, burnt cereals and nutmeg giving a faint sour bitterness. This is a very good quality whisky, especially when you consider that it sells for around £25 a bottle. The delicious combination of the sweet elements with the drier, spicier ones and the robust cereals makes this an enjoyable and well balanced dram. Well worth a try. We thank Cathy James of Inver House Distillers for supplying us with this sample of Hankey Bannister 12 years old. Auchentoshan (pronounced ock-en-tosh-an) is the nearest whisky distillery to Glasgow, being located just to the north west of the city. It is one of the last remaining Lowland distilleries and was opened in 1823. Auchentoshan translates as 'corner of the field' from Gaelic and is the only distillery in Scotland to continually practice triple distillation of their spirit. Other Scottish distilleries occasionally do this (for example, Springbank release Hazelburn which is triple distilled but they only produce it for a small part of the year). Triple distillation produces a smoother, lighter spirit that many people find easier to drink and the process is more commonly associated with Irish whiskey. So, why are Auchentoshan the only place to consistently triple distil in Scotland? The theory is that during the Irish potato famine in the early 1800s, immigrants came over to the Glasgow area to escape the poverty and brought the process with them, maybe introducing the idea to the new distillery's owners. Auchentoshan's current owners are Morrison Bowmore, a subsidiary of the Japanese company Suntory, and have carried on this tradition. The annual production capacity of Auchentoshan is 1.75 million litres. Also, the visitor centre at the distillery has been voted one of the best in Scotland and is one of the most visited, helped by its close proximity to Glasgow. 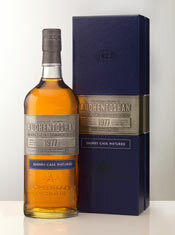 This whisky is a new limited edition of Auchentoshan, which has been released to compliment to core range. This core range consists of 12, 18 and 21 year old whiskies plus the Three Wood, which has undergone maturation in three different casks (hence the name). This 1998 has been bottled at 11 years of age and at the cask strength of 54.6% ABV. It has been matured in ex-Fino sherry casks - Fino sherry is a light, dry and nutty aperitif style of sherry and its casks are rarely used to mature whisky, so it will be interesting to taste the effects. There are only 6,000 bottles of this release and it is now available from specialist alcohol retailers for about £45 a bottle. The colour of this is golden yellow with a hint of coppery amber. The nose is fragrant with plenty of sharp woody aromas to begin with (think of oak and in particular, sawdust). Other aromas appear of dried fruit (imagine sultanas and pear), malty cereal grains, caramel and some burnt sugar. The dried pear and sultana notes are particularly aromatic and increase with time in the glass. While each of the aromas are pleasant in their own right, the problem seems that they never seem to integrate fully. On the palate, this is intense with the woody, slightly dusty, notes from the nose appearing first. These are joined by notes of drying wood spice (think of cinnamon and nutmeg) and toasted nuts (especially walnuts and almonds), before sweeter characters come through to add much needed balance. These include lovely notes of toffee, raisin, sultana, cereals and finally, a hit of brown sugar. The finish goes the opposite way to the nose and palate by starting sweetly with the brown sugar note particularly prominent. Then it becomes much drier with plenty of wood spices and nuts (think of cinnamon, nutmeg and almonds). 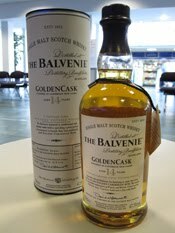 This is a very interesting and unique whisky, because not many whiskies are matured in ex-Fino sherry casks. It somehow seems slightly disjointed, especially on the nose which lacks integration between the very woody aromas and the sweeter, fruitier ones. The palate and the finish are pleasant and enjoyable, exhibiting better balance than the nose. This whisky is worth trying as the Fino sherry has imparted different flavours than the traditional styles of sherry used in maturation. St. Magdalene is a Lowland distillery that has been closed since 1983. The distillery originally opened in 1795 in the town of Linlithgow, which lies between Edinburgh and Stirling, and whisky distilled at St. Magdalene is also occasionally released under the name of 'Linlithgow'. It was one of Scotland's oldest distilleries until its closure. St. Magdalene was regarded as having one of the most perfect locations in Scotland for both whisky production and transportation links, being situated very close to some of the main barley growing areas, the main Edinburgh to Stirling road and the Union canal. The distillery buildings are still standing and have been sympathetically renovated into apartments. St. Magdalene and Linlithgow whiskies are now extremely rare and are naturally running out, so are highly sought after by drinkers and collectors alike. The majority of the remaining dwindling stock is owned by drinks giant Diageo, who occasionally release special bottlings. The rest of the stock is held by independent bottling companies, who carefully select when to release it. 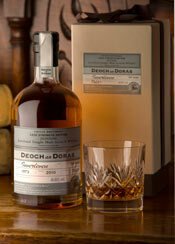 This one is released by renowned independent bottling company, Gordon & MacPhail, in their Rare Old series. It was distilled in 1975 and bottled in 2005 at 30 years of age. Bottles can be found at specialist whisky retailers and should cost around £125 - this is a bargain considering the age and rarity of this whisky. Gordon & MacPhail are a company based in the city of Elgin in Scotland and they continue to operate from their original premises that were constructed when the company was set up by James Gordon and John Alexander MacPhail in 1895. The company started off by bottling whisky for the numerous local distilleries and also did some blending and vatting. The business grew rapidly and they were soon joined by John Urquhart, whose family still own and manage the company today. Currently, Gordon & MacPhail are one of the largest independent bottling companies in Scotland, with over 300 own label bottlings in their current catalogue. The whiskies are selected from distilleries all around Scotland and released in a number of ranges. The colour is golden with a hint of amber and the nose is captivating and very promising. The combination of attractive and aromatic notes is alluring - lots of vanilla and cereal grains up front, followed by aromas of honey, toffee, orange peel, dried grasses, a hint of ginger powder and a deep scent of very ripe pears. On the palate, this whisky is soft, silky and slightly oily in feel. It grips your palate with fairly robust and malty cereal notes to begin with. Then come some lovely soft oaky flavours, plus notes of vanilla, honey, butterscotch, demerara sugar and lots of dried pear. These are balanced by hints of wood spice (imagine cinnamon, nutmeg and ginger), some tangy citrus zest (think of lemons especially) and some dried grassy notes, which add a pleasant bitterness and balance. The finish is long, soft and warming with plenty of cereal grain notes again, honey, vanilla and a dash of that ginger powder. Delicious! This is a fabulous whisky that has plenty of subtle yet complex characteristics. It is well balanced and shows how good older whiskies can taste if matured sympathetically in quality casks. A big well done to Gordon & MacPhail for this excellent release. However, it does create a bittersweet dilemma - do you mourn the fact that whisky from a distillery that produced this sort of quality will soon run out or celebrate the fact that such great stuff is available, even for a limited period? We say, if you haven't tried any St. Magdalene whisky yet then you must do before it's gone forever. Yesterday, we hit the 2,000 follower mark on Twitter. This is amazing and a figure that we didn't imagine was possible when we joined Twitter 18 months ago. We would like to thank everyone on Twitter who is following us, old friend or new reader alike, for helping us reach this great figure. Our 2,000th follower was the fantastically named @SchoolofBooze, a London based company who organise tutored beer, whisky and wine tasting events. Ardbeg iPhone app is coming! The cult Islay distillery have announced plans to release and Ardbeg app for the iPhone. This will appear in the iTunes store soon and will include interactive features such as distillery history and facts, tasting notes for the core range of whiskies, news updates and access to the online shop. The Scotch whisky wing of drinks giant Pernod Ricard have announced the release of two new whiskies from two of their closed distilleries – Inverleven and Glenugie. Both are limited to just 500 bottles and will appear under the Deoch an Doras label (Deoch an Doras translates from Gaelic as ‘drink at the door’ or ‘farewell drink’). Inverleven was built within the larger Dumbarton grain whisky distillery in 1938 and taken out of service in 1991. The new release (pictured, left) is bottled at 48.8% ABV and will retail at £275 each. Glenugie used to be the most easterly distillery in Scotland and was located in the town of Peterhead. It was founded in 1831 and closed in 1983. The new release is bottled at 55.5% ABV and will cost £250 each. Both can be purchased at three Chivas visitor centre shops – Aberlour, Glenlivet and Strathisla – or via www.maltwhiskydistilleries.com. Inver House, the owner of five Scottish whisky distilleries, have announced a live tasting of some of the Old Pulteney range. This will take place on Twitter at 19:30 UK time on Thursday 20 January. 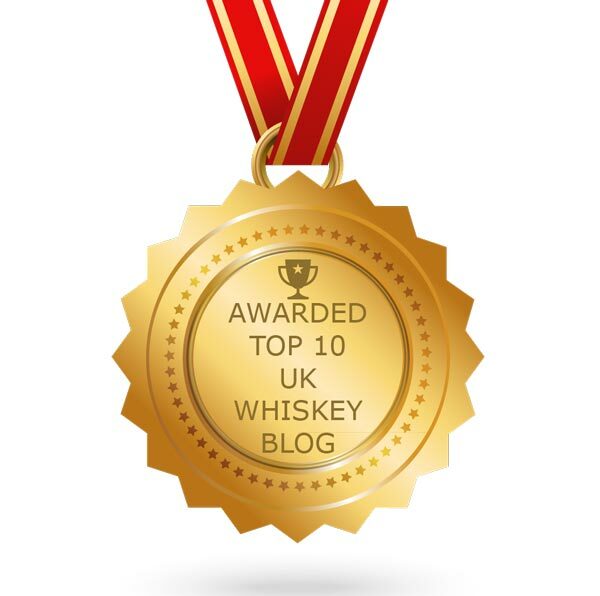 There will be a number of selected whisky bloggers (including us!) and whisky journalists taking part, along with Malcolm Waring – the Distillery Manager at Pulteney. Malcolm has just joined Twitter and if you would like to follow him, then search for @Malcolm_Waring. The whiskies being tasted are the 12 and 17 year olds from the core range and a brand new sherry cask bottling for the travel retail/Duty Free market called WK209, which won't be available until March/April (we are looking forward to trying that one in particular!). If you want to follow the tasting on Twitter, then look out for the tag #wk209. At the start of December, we were delighted to be invited to the UK and world launch of the Macallan Masters of Photography. 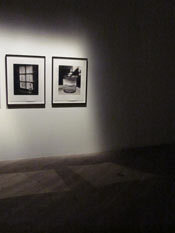 The event was held in the gallery spaces of famous art auctioneers Phillips de Pury & Co. in central London. This is the second incarnation of the Masters of Photography concept by Macallan, who select a premium single malt whisky from their famous Speyside distillery warehouses and a series of photographic images by a famous Scottish photographer, before launching them together. 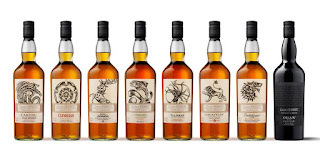 In 2008, the first in the series paired a special 30 years old whisky with images by Rankin. Now, the collaboration is with the world renowned Albert Watson. 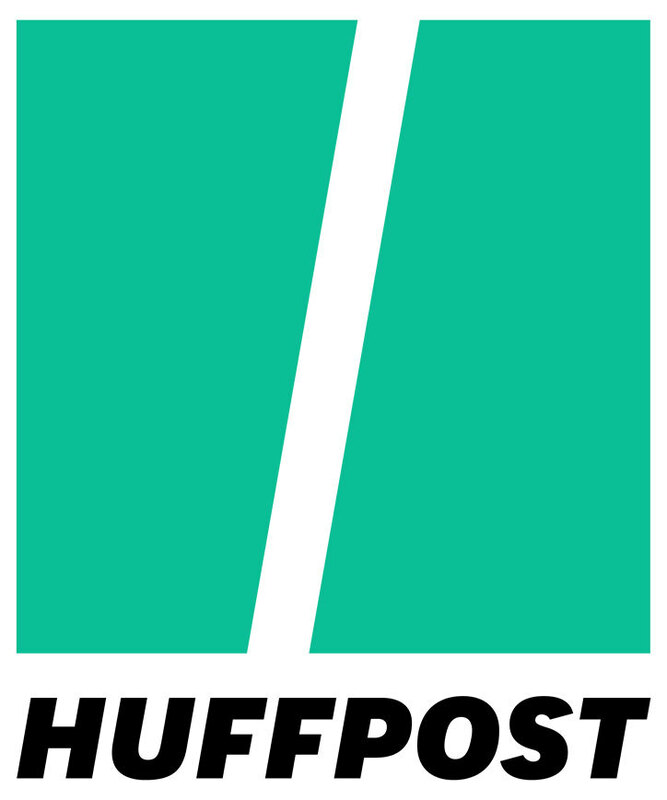 The US launch is on 20 January. Macallan is one of the most famous whisky distilleries and brands in the world. The range of single malt whisky from Macallan is extensive and are some of the best selling around the globe - it is consistently in top three for sales of single malt, with particular strong performances in the American, UK and travel retail markets. The Macallan distillery is located close to the village of Craigellachie in the heart of the Speyside region of Scotland and overlooks the River Spey. It was founded in 1824 by Alexander Reid and was originally called Elchies distillery, after an area of land nearby. The name was changed to Macallan in 1892 following a change of ownership. 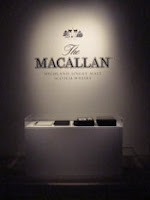 For further information on Macallan, please visit www.themacallan.com. Albert Watson is one of the most influential photographers of the last 40 years. In a prolific career he has produced many memorable portraits of leading figures including Alfred Hitchcock, Mick Jagger and Kate Moss. He is also well known for his work in high fashion and has produced many cover shots for glossy magazines such as Vogue, Harper’s Bazaar and Rolling Stone. In addition, Watson has also directed over 500 TV commercials, had many solo shows exhibiting his work, published several books of his photographs and produced numerous iconic movie posters such as Kill Bill and Memoirs of a Geisha. He has also been voted as one of the Top 20 most influential photographers ever by Photo District News. For more information and to view some of his stunning images, go to www.albertwatson.net. The concept behind the series of photographs is the journey of the wood that helps to flavour Macallan’s whisky. 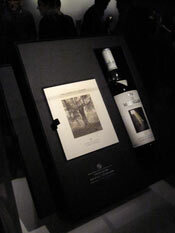 Watson, plus two models, started their journey in the forests of northern Spain where the European oak trees grow and then followed the wood through the whole process – the local timber yard, cooperage, Gonzalez Byass bodegas in Jerez where the sherry is made, sherry maturation, transportation to Scotland and finally, the Macallan distillery in Speyside. While the main focus is on the wood itself and its role in the whisky making, Watson conveys this with the use of the models, the dramatic Spanish and Scottish landscapes and the characters met along the way. As both of us are students of photography, we were impressed how much was conveyed through attention to detail, extraordinary use of light and sympathetic printing. Macallan are running a competition in conjunction with the launch of the Albert Watson Masters of Photography series. All you need to do is to send them one of your own photographs – the theme is ‘great journeys’ – and the top 10 entries will then be voted for by the general public. Albert Watson will pick the his top three from these and award the prizes. These include a 10 day photographic trip to Scotland and master class with Albert Watson, a selection of Nikon cameras and subscriptions to Digital Camera magazine. For further information, visit the website above. 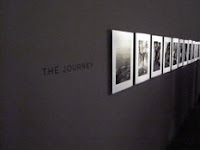 Visit www.themastersofphotography.com to enter and the closing date for entries is 30 June 2011. There are two whiskies that are being released in this Masters of Photography series. The first is a Macallan 20 years old that has been matured in Oloroso sherry casks. There are only 1000 bottles of this available and each comes in a presentation case with a specially commissioned book containing Albert Watson's Masters of Photography series of photos. It is bottled at 43% ABV and they will retail at specialist whisky stores for around £700 each. The second is the Macallan 1946, of which there are only 36 bottles released from a specially selected premium sherry cask. Each bottle comes with a one-off platinum photographic print signed by Albert Watson and will be sold with a reserve price of £10,000! We were delighted and privileged to be able to sample this exclusive and rare whisky. The colour is a dark golden amber with a hint of red vibrancy to it. The nose is expressive and full of wonderful, rich aromas - dark dried fruits (think of prunes, figs, raisins and dates - essentially we are talking fruit cake/Christmas pudding), caramel, butterscotch sauce, plenty of spicy wood (imagine cedar wood, cinnamon and nutmeg - the feeling is like polished antique furniture), vanilla and burnt/spiced orange peel. The combination and balance is lovely. On the palate, there is initial sweetness with notes of vanilla, honey and caramel. Then come the darker notes - think of molasses, the dark dried fruits from the nose (especially fig with some cinnamon, which reminded us of panforte cakes from Tuscany), candied and spiced orange peel, coffee, a hint of dark chocolate and some bitter woodiness. The finish is slightly shorter than expected but good. The sweeter notes disappear quickly to leave lovely, warm cocoa, bitter chocolate and cinnamon notes. This is a delicious and well produced whisky - the nose is excellent, the palate very good and the finish is decent but lets the whole whisky down slightly. Otherwise, it offers plenty of rich, warming characters and these are well balanced. Is it worth £700 a bottle? Only you can really decide that! Glenglassaugh (pronounced glen-glas-sow) was founded by local businessman James Moir and his two nephews, Alexander and William Morrison, in 1875. They sold it to the Highland Distillers Company in 1892 and the whisky produced started to build up a good reputation with large whisky blenders. 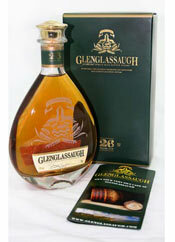 Glenglassaugh was historically used in famous brands such as Famous Grouse and Cutty Sark. Glenglassaugh was closed and mothballed in 1986 and was not reopened until 2008. Glenglassaugh is an eastern Highland distillery, found close to the village of Portsoy about 50 miles north west of Aberdeen. The distillery is located on the coast and overlooks a small sandy bay - this can be seen in the short video clip that we have included below, which was recorded by one of the current distillery staff. The remote location was chosen due to its proximity to one of the highest quality natural water sources in the area - Glassaugh Spring - which is still used for production today. In 2008, Glenglassaugh was reborn when it was purchased a Dutch company called the Scaent Group. This makes it one of Scotland's few independently owned distilleries. They refurbished the old equipment and have since opened a brand new visitor centre. The first spirit under Scaent's ownership flowed in November 2008 and the production has been 200,000 litres a year since, although the actual annual capacity is around one million litres. This production is slowly building up maturing stock and all is planned to be released as single malt. Scaent also inherited around 400 casks from the previous owners - these were from the 1960s, 70s and 80s, up to 1986 when it closed. They have released limited bottlings of these, of which this 26 years old is one of the latest editions. 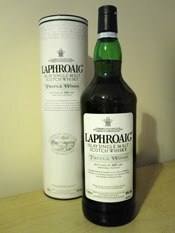 It is bottled at 46% ABV and should cost around £150 a bottle from specialist whisky retailers. The colour is a bright golden amber and the nose is robust, with clear evidence of this whisky's age. The nose begins with heavy notes of malted cereal grains and oak, which are backed up by plenty of wood spice (think of cinnamon, nutmeg, cedarwood) and hints of some charred wood. Other aromas that come through are some distinct caramel and burnt orange zest, plus some honey and vanilla. On the palate this feels firm and a little oily. It grips your tongue and has a good intensity and delivery of flavour. This is very malty and very oaky to begin with some burnt sugar and those wood spice notes from the nose coming through well. These are joined by further notes of toasted almond, honey and vanilla which give much needed sweetness and balance. Finally a hint of smoke is suggested but this is more reminiscent of burnt or toasted cereals, rather than being peat based. The finish is of decent length and starts sweetly (that honey and vanilla again) but quickly becomes drier, woody and spicy, before ending with a touch of espresso coffee-like bitterness. This makes it tangy and mouthwatering. We not tried many Glenglassaugh whiskies, so we were intrigued by this one. It is a lovely, warming dram that is complex, rich and offers plenty of character. It is driven by robust notes of oak wood, spices and malted barley and this may make it too challenging for some, but it should be tried. 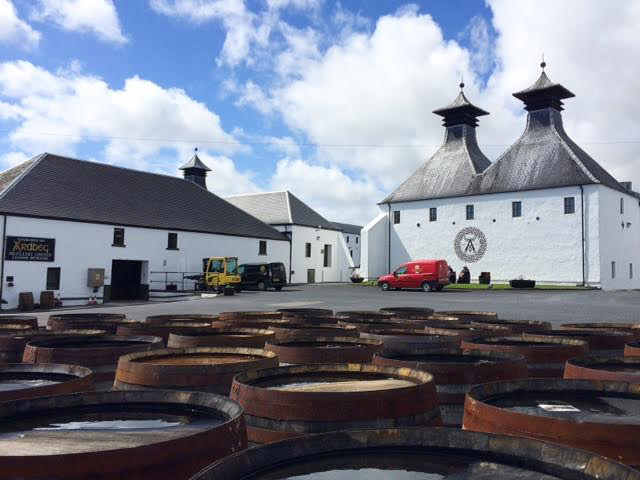 We can't wait to see what the whiskies that Glenglassaugh are producing now will be like in a few years! We would like to thank Ronnie Routledge from Glenglassaugh for supplying us with this sample and for his time spent talking to us both about the Glenglassaugh distillery and range of whiskies. Please note > the image at the top of this post is taken from www.glenglassaugh.com. 2010 has seen many new whiskies released on to the market. We have sampled and reviewed a number of these over the last year at Whisky For Everyone, so we have decided to choose our top 10 favourites of these new releases. A similar Top 10 that we published this time last year has proved to be one of our most popular ever and we hope that this one is enjoyed as much. Such Top 10s are always subjective and are therefore contentious as a result - everyone has differing opinions at the end of the day. We have tried to select our Top 10 on a ratio of quality, value for money and availability to the public. To this end, there are not really any single cask or independent bottlings included, despite some excellent ones being sampled throughout the year. However, some are limited edition bottlings that are still available to purchase. This whisky from the famous Speyside distillery was launched at Whisky Live, London last February and has undergone an innovative maturation – 14 years in ex-bourbon casks then 18 weeks in brand new oak casks (12 weeks in American oak and six in European oak). The introduction of the new wood adds a pleasant, spicy intensity to Glenfiddich’s usual gentle nature. You can sit and sniff the nose for ages as numerous aromas fight for your attention, including vanilla, apple, cinnamon, sultan, cedar wood and burnt orange. These aromas are also reflected on the palate, which has a more woody, spicy and zesty edge. Stewed fruits and sweet vanilla notes add softness and balance. The finish is long, complex and warming. A delicious and lovely dram. 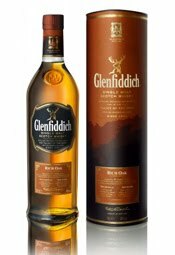 Click here to read our original post about Glenfiddich Rich Oak. The Arran distillery was only founded in 1995 and this new whisky represents the oldest single malt released to date from there. It came on to the market last August. The nose is highly perfumed with aromas of vanilla, coconut and honey coming first, followed by plenty of oak, cereals, dried grasses and a hint of peach. A silky, fresh and juicy palate follows on from this promising start with vanilla, honey and cereals again, backed up by cinnamon and nutmeg spice. The finish begins sweetly before becoming drier to add great balance. This is a superb whisky that offers a lovely combination of aromas and flavours. Arran whiskies seem to be getting better and better with increased maturation and we can’t wait to see how their releases in 2011 match up to this top effort. 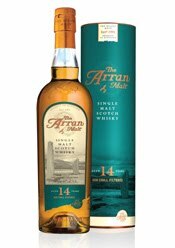 Click here to read our original post about Arran 14 years old. This whisky was only released at the start of December but has already created significant waves and earned rave reviews around the whisky blogosphere! It replaced the popular 1997 expression in the core range and has been matured in second fill ex-bourbon casks. The colour is pale gold and the nose is very fresh and fruity. There are plenty of green pear and apple notes and these are backed up by vanilla, coconut and a whiff of mint. On the palate, it is again fresh with a lovely combination of flavours - pear drops, lemon zest, vanilla, honey, cereal grains and hints of icing sugar or sherbet. The finish is tangy but fairly short. This is an easy drinking dram that is light and fresh – it would be great taken in hot weather, as an aperitif or for a whisky beginner. 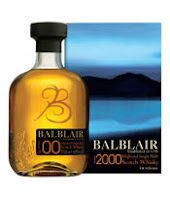 Click here to read our original post about the Balblair range. 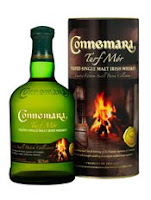 Another release from late in the year, this whisky is hailed as the smokiest Connemara (and Irish whiskey) ever made. It is made at the Cooley distillery and is bottled at a hefty cask strength of 58.2% ABV. The nose is expressive and lively with fresh, tangy and vibrant notes fighting for attention – smokiness, honey, fresh green apples, vanilla, malty cereal grains, lemon and salt. The palate is wonderfully complex and the notes from the nose are reflected. The finish has lovely sweetness combining with the smokiness and just goes on and on … This is a delicious and very positive dram. So often, young peaty whiskies can give you a less pleasant or negative experience. The excellent balance, combination and contrast of aromas and flavours make this a dram to savour. What a cracker! Click here to read our original post about Connemara Turf Mór. 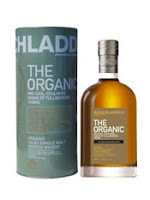 Here is one of the few truly certified organic single malt whiskies available on the market. It was released by the innovative Bruichladdich distillery on the famous whisky island of Islay last Autumn. The whisky is made from organic barley and matured in a combination of fresh oak and ex-bourbon casks. The nose is youthful, fresh and vibrant with an appetising combination of aromas - cereals, pear, apple, vanilla, honey and almonds. The palate is light and zesty, before the notes from the nose mentioned above appear. The cereals are prominent, as are the honey and vanilla. A hint of welcome cinnamon/nutmeg spice rounds things off. The finish is on the short side but is expressive, cramming plenty in to a short space of time. A fine dram that should be the benchmark for all future producers of an organic whisky. Click here to read our original post about Bruichladdich Organic. The latest edition of The Whisky Round Table is now available for all to read. The hosts this month are our American friends over at the excellent Whisky Party blog. We are delighted to be one of the founder members of The Whisky Round Table, so hope that you will join us and our colleagues for this edition. To read the January sitting of the Whisky Round Table at Whisky Party, then click here. This month's subject is the explosion of the whisky micro distillery in the USA and the impact that they, and their products, are having on the world whisky markets. The Whisky Round Table was the brainchild of Jason Johnston-Yellin, who is the author of another one of our 'must read' whisky blogs, Guid Scotch Drink. His idea was to gather together 12 whisky bloggers from around the world and get them to discuss a whisky topic once a month. The hosting of The Round Table is passed around the 12 members, with each host setting the question for each month. The January edition is the eighth offering of The Round Table and the subjects have been wide and varied to date. 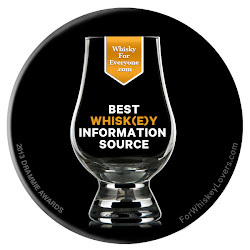 Links to the first seven Whisky Round Table articles can be found by clicking here. We are in the host's chair for February, so watch this space at the beginning of the month for our question and the responses of our Whisky Round Table colleagues. St. George's is the first whisky distillery to be built and produce whisky in England for almost 200 years. The distillery is located in the heart of East Anglia, close to the town of Roudham in Norfolk (about 2 hours north east of London). 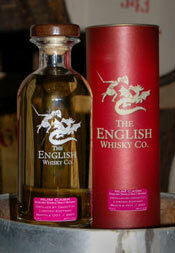 The distillery is operated by The English Whisky Company, which was founded in 2005 by Andrew and James Nelstrop. The construction of the new facilities began shortly afterwards and the first spirit came off the stills in November 2006. Legendary whisky maker Iain Henderson was employed to oversee production and he has previously managed the famous Laphroaig distillery on the island of Islay, amongst others. The St. George's spirit is made from locally grown Norfolk barley and is matured predominantly in ex-bourbon casks. They are currently producing and maturing both a peated and unpeated version of their whisky. The Chapter 9 whiskies from The English Whisky Co. are made using peated malted barley and are in the lightly smoky style. All future releases in this style will also carry the Chapter 9 name and they will be released in limited batches. The batch from which we were given a sample was released during the Summer of 2010 and is bottled at three years of age with an alcoholic strength of 46% ABV. The other 'chapters' in the series are made up of new make spirit or partially aged spirit up to the age of three years (this is not legally allowed to be called 'whisky'), plus a number of three year old single malt whiskies that have been matured in various casks. The plan is to expand the range further as and when more stock reaches a suitable length of maturation. 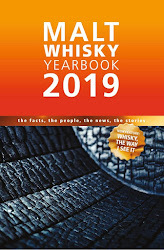 Most of the Chapters are available from the English Whisky Company website, selected specialist retailers or Gordon & MacPhail, who are the main nominated distributor in the UK. A bottle of Chapter 9 should cost £35-40. Supplies of all are limited. We thank David Fitt, the Chief Distiller at St. George’s for giving us this sample and for his time spent talking with us. The colour of this Chapter 9 is a pale straw-like lemon yellow. The nose is light, fresh, vibrant with early aromas of vanilla, honey, and crisp green fruits (think of apple and pear). Then come malty, gristy cereal grains, a hint of green pistachio nuts and a mild, soft sweet smokiness – this feels earthy and mossy, with an element of burnt biscuits or cereals about it. On the palate, this is again fresh and vibrant with some lively alcohol giving a pleasant citrus-like tanginess (imagine lemon zest?) and a touch of white pepper heat and spiciness. This gives way to more delicate notes – something floral and grassy to begin with and then plenty of sweet honey, vanilla and a distinct shortbread-like flavour. The smokiness is there but remains light and almost underwhelming. It again has a burnt bakery/biscuit quality with a hint of damp soil and moss. This smokiness adds depth and dryness to the palate, plus some warmth and balance. The finish is shortish, fresh and a little sharp, but with lovely elements of tangy citrus zest and sweet vanilla and cereals. These are followed by a burning peaty dryness and some very late warming nuttiness (think of hazelnut, walnut and that pistachio again). A delicious whisky that is very lightly peaty and smoky and full of vibrancy. It exhibits some lovely subtlety for a youthful single malt and when you combine these elements, it makes Chapter 9 a good choice as an introduction to the smoky style of whisky. This whisky is clearly well made and matured and the future looks good for The English Whisky Co. if they keep releasing products of this quality and promise. We would like to wish everyone a Happy New Year and hope that 2011 is a good one for you all. 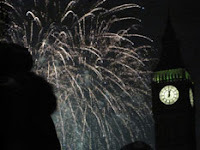 We saw in the new year in Parliament Square and stood below Big Ben watching an impressive fireworks display as a backdrop. We would like to also take this opportunity to thank a number of people who have helped make this year so successful for us - to our old whisky blogging friends who have supported us since we started and continue to support us, to the new people that have discovered us from the whisky industry (be it from distilleries, brand ambassadors or PR and marketing departments) but, most importantly of all, to the readers who continue to find us, read what we write and leave comments or send us emails. Thank you everyone. A Happy and prosperous New Year from both of us.